Remember how fun it was going to an Echo Park Home Tour? Neighbors opened up their Craftsman bungalows, Spanish-Colonial homes and Mid Century residences to visitors as part of our effort to promote neighborhood history and historic preservation. Even Huell Howser should up for one! 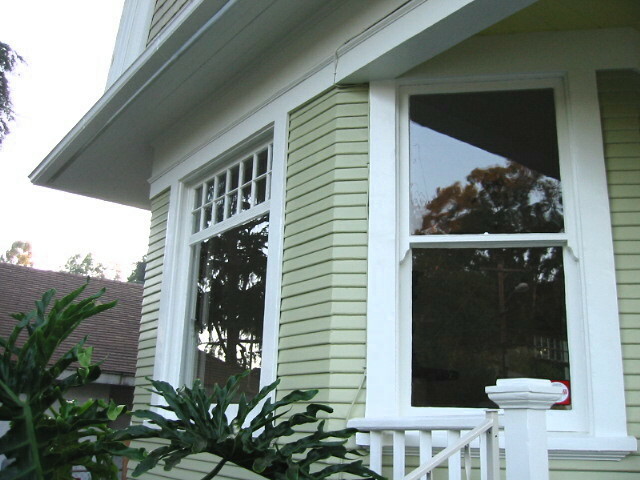 After putting the home tour on hiatus for several years, the Echo Park Historical Society is looking at resuming the event but we could use your help. 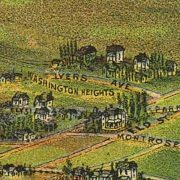 If you are interested, please join us for a home tour discovery meeting during a History Happy Hour at Sage Brewery, 1700 Sunset Boulevard at Logan Street, at 6:30 pm on Monday, February 26. Sage Brewery is located in the historic Jensen Recreation Center, Historic Cultural Monument # 652. Join us on Friday for the Jensen’s sign relighting! The 28-foot-high animated rooftop sign made up of 1,300 red, green and white light bulbs depicts a bowler throwing a strike. It is believed to be the only sign of this type and size remaining in the United States. The Echo Park Historical Society and spent several years working with local groups, like the Echo Park Neighborhood Council, and national organizations, such as the National Trust for Historic Preservation, to raise support and funds to repair and relight the sign. Property owner Vista Investment Group eventually took on and completed the costly and daunting task to preserve this unique historic resource. The repair of the sign is part of Vista’s multimillion-dollar renovation program that includes the restoration of the building’s original brick façade, new entrance and lobby, refinishing of the original hardwood floors and renovation of unit interiors. The sign went dark for several decades when it was restored and relighted in 1997 through a city grant. That fix proved temporary, however, and the sign went dark again a few years later. Jensen’s Recreation Center, located at the corner of Sunset Boulevard and Logan Street, was built by the late Henry Christian Jensen in 1924. 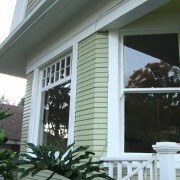 It was one of several buildings constructed by Jensen in the course of a decade. Jensen was a German immigrant that made his fortune making bricks for the rapidly growing city of early 20th century Los Angeles. His business ventures often combined shopping and entertainment. 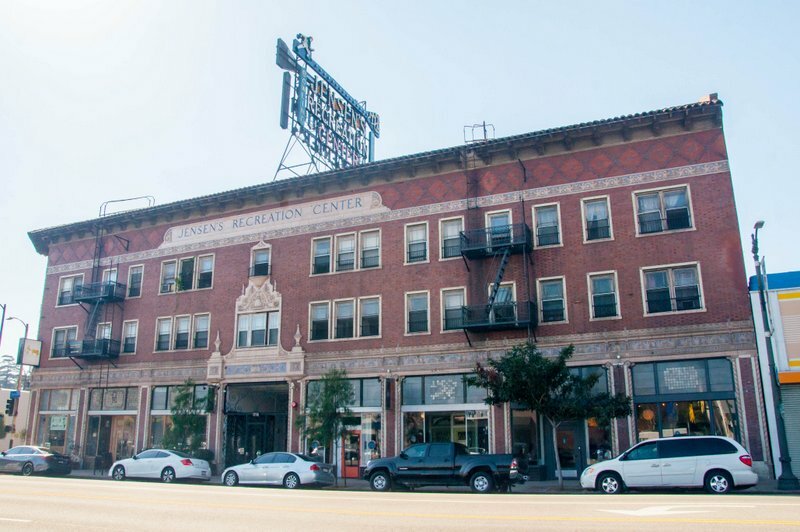 he building was declared Los Angeles Historic Cultural Monument No. 652 in 1998. 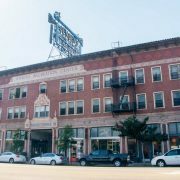 Other Jensen ventures include Jensen’s Theatorium in Echo Park, now a grocery store; He also built Jensen’s Raymond Theater in Pasadena, and Jensen’s Melrose Theater in East Hollywood. The Palace Grand Theater and Shops in Glendale was demolished to make way for new development. Originally, the three-story Jensen Recreation Center had a row of shops, a bowling alley, and a pool hall at street level, and 46 apartments on the top two levels. The relighting ceremony on Friday, Oct. 27 will begin at 5 pm and the flipping of a giant light switch to activate the sign scheduled for 6 pm. http://historicechopark.org/new/wp-content/uploads/2017/10/Jensens-Recreation-Center-courtesy-Vista-Investment-Group-10-14-2017-10-15-53-AM.jpg 532 800 EPHS http://historicechopark.org/new/wp-content/uploads/2015/05/echoparkhistoricalsociety31.png EPHS2017-10-23 18:43:232017-10-23 18:43:23Join us on Friday for the Jensen's sign relighting! Jensen’s Recreation Center sign to shine once again! Please join us on Friday, October 27 to watch and celebrate the relighting of the historic sign at the top of the landmark Jensen’s Recreation Center. http://historicechopark.org/new/wp-content/uploads/2017/10/Jensens-Recreation-Center-courtesy-Vista-Investment-Group-10-14-2017-10-15-53-AM.jpg 532 800 EPHS http://historicechopark.org/new/wp-content/uploads/2015/05/echoparkhistoricalsociety31.png EPHS2017-10-18 01:36:422017-10-23 18:40:58Jensen's Recreation Center sign to shine once again! 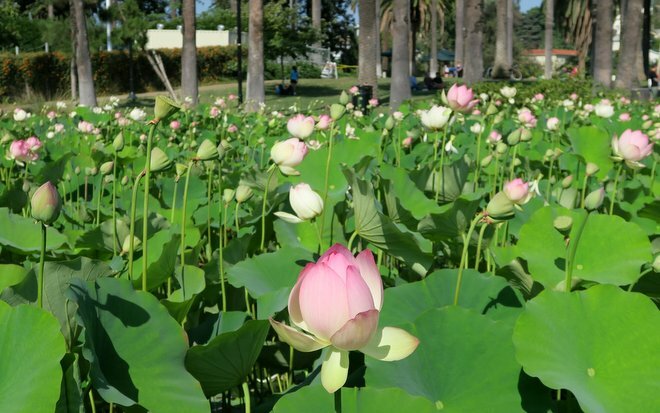 The Echo Park Historical Society will be at Echo Park Lake this weekend, Saturday and Sunday, July 15 & July 16, for the 37th Annual Lotus Festival. 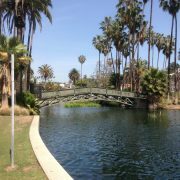 The Echo Park Lake Walking Tour includes the origins of the Echo Park Lake, the edge of Angelino Heights, site of the American Institute of Mentalism and Angelus Temple. 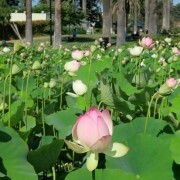 We will talk about the recent renovations of Echo Park Lake. This is a slightly strenuous tour with three Echo Park staircases. Building interiors are not included. Free for members, $5.00 for non-members. To find out where to start the tour, please RSVP to ephs@historicechopark.org. Please include the date and time of the tour you would like to join as well as the number of people in your group. Free for members, $5.00 for non-members. To find out where to start the tour, please RSVP to ephs@historicechopark.org. Please include the date and time of the tour (schedule below) you would like to join as well as the number of people in your group. 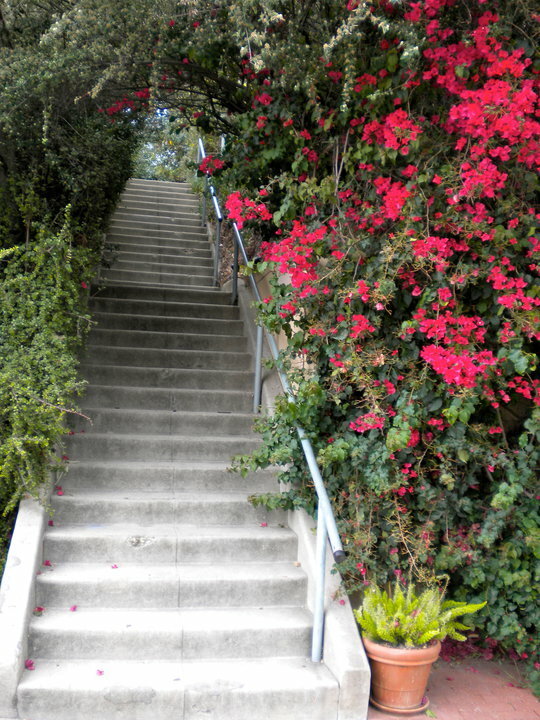 Take a step up on the Echo Park Stairway Tour — CANCELLED! 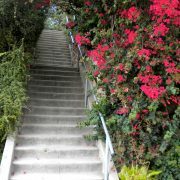 The Echo Park Historical Society’s Stairway Walking Tour that had been scheduled for Saturday, July 15 and Sunday July 16 has been CANCELLED! 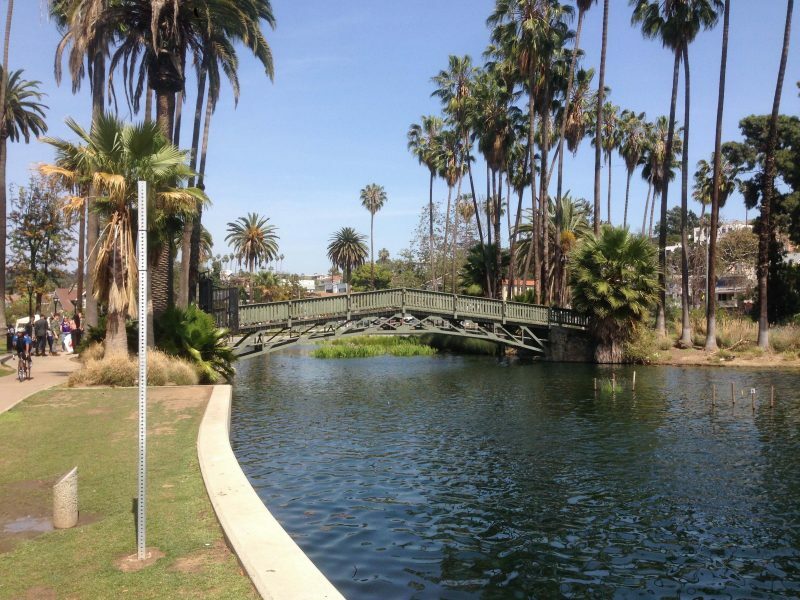 However, the historical society will be hosting walking tours of the Echo Park Lake area on the same days. Please click here for details. http://historicechopark.org/new/wp-content/uploads/2017/06/EPHS-Stairway.jpg 720 540 EPHS http://historicechopark.org/new/wp-content/uploads/2015/05/echoparkhistoricalsociety31.png EPHS2017-06-28 08:06:522017-07-10 03:35:22Take a step up on the Echo Park Stairway Tour -- CANCELLED! Join us on Monday, May 15 at 7 pm for our quarterly meeting and a guided tour of The Parsonage of Aimee Semple McPherson at 1801 Park Avenue. Located next to Angelus Temple and across from Echo Park Lake, the home is restored with original furniture, photographs, props, personal artifacts and displays. The wonders of modern media tools have transformed memories and memorabilia into a trip back in time, with each room unveiling a portion of the life of Sister McPherson. The parsonage recaptures an extraordinary period of American history and culture—and it reminds us of our Foursquare heritage and call that still continues today. Learn about the remarkable life and ministry of Aimee Semple McPherson, the world-famous evangelist and founder of The Foursquare Church. Members RSVP via email ephs@historicechopark.org by Friday, May 12. Join us for the Echo Park Historical Society’s Washington Heights Walking Tour at 11 am on Saturday, April 29. 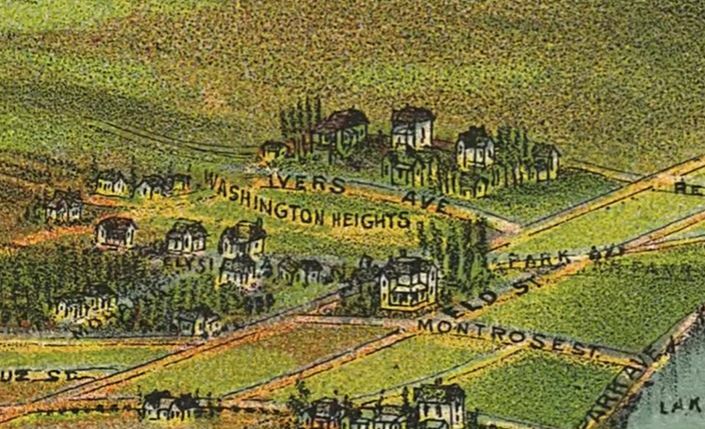 Learn about the history of the Washington Heights Tract in Echo Park, one of the oldest commercial districts along Sunset Boulevard. See architectural traces of Echo Park as the Wild West while you hear tales of corrupt LAPD detectives chasing Mexican anarchists. Discover early Los Angeles boosterism and the silent film era in Edendale. Meet at the corner of Reservoir and Alvarado next to the Church. Free for members, $5 for non-members. For more information email ephs@historicechopark.org. 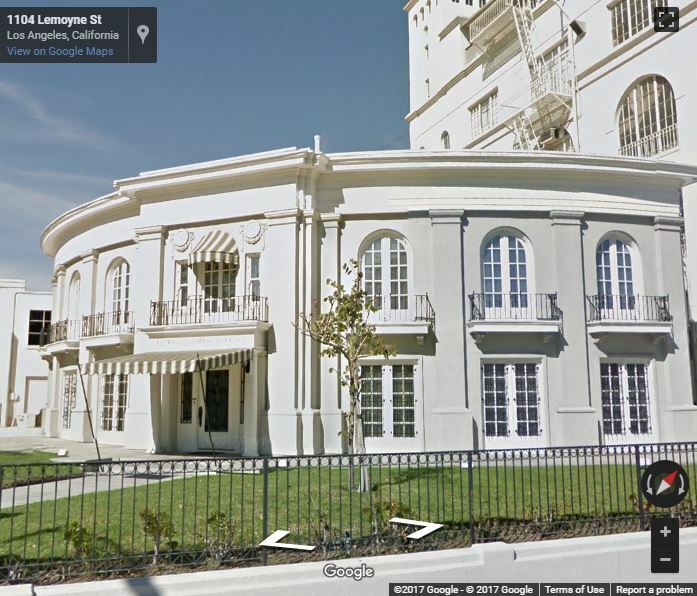 In conjunction with the Echo Park Improvement Association, The Echo Park Historical Society has invited special guest Ken Bernstein of the City of Los Angeles Department of Historic Resources to discuss preservation efforts during a meeting on Thursday, Jan. 5 at 7 pm at Williams Hall at Barlow Hospital, 2000 Stadium Way. Mr. Bernstein will discuss the work that the department does and how community members can participate in preserving historic sites and landmarks. The presentation will be followed by a moderated Questions & Answers session. 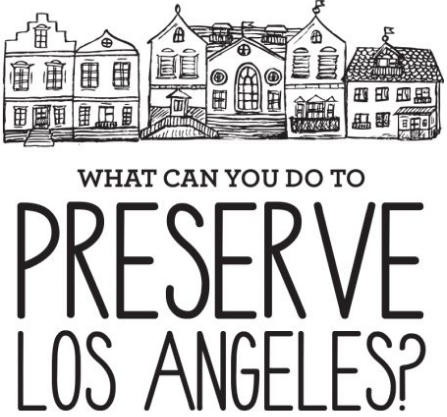 What Can You Do To Preserve Los Angeles? Donate now or purchase a membership to support Echo Park history! 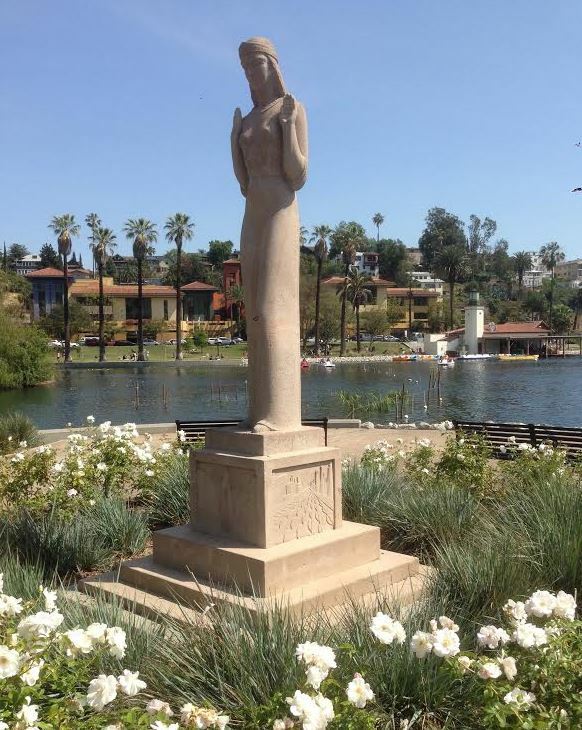 Get a tax deduction by making a year-end donation to the Echo Park Historical Society. Your donation will help us promote awareness of neighborhood history and support historic preservation efforts. You can also support our efforts by becoming a member (or renewing your membership) for as little $15 a year. Click or tap here to join or renew. Membership benefits include free or reduced admission to our tours, workshops and events. 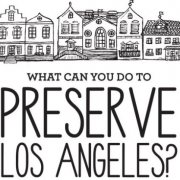 http://historicechopark.org/new/wp-content/uploads/2015/05/Preservation-Primer.jpg 480 640 EPHS http://historicechopark.org/new/wp-content/uploads/2015/05/echoparkhistoricalsociety31.png EPHS2016-12-04 21:31:462016-12-04 22:18:26Donate now or purchase a membership to support Echo Park history!